My oven just bit the dust. How do I buy a new oven? What do I look for? Are there any that you especially recommend? Are they all pretty much the same unless you go super high end or super low end? Help me, Metafilter. Additional questions and criteria within! -It is an Amana oven, propane, probably thirty years old. -I like the design of it, in particular that the entire top surface is covered with grates, so you can slide a pan to the middle to rest it, or move things around without lifting them up. I'm actually quite fond of it. It's a little medieval. I like that in a stovetop. -The down side of propane is on two occasions we knocked the dial out of alignment somehow and nearly blew our house up when we left the propane seeping out overnight. If we bought another propane oven, we'd need some serious protection against that happening again. -Those thermoconductive glass cooktop thingies are not an option; I'm just not into them. -I prefer to cook with gas, but have cooked with electric before and don't hate it as much as some people do, but I am a competent cook and take it seriously, so it's not as if don't care. Is it possible to go from propane to electric? *Should* I? -I know there are fancy pants thousands-of-dollars ovens but that seems like overkill for a moderately competent home cook who might also like to use that money for something else. -I really want buttons. Real buttons. Not those plastic covered pseudo-buttons like you use at the gas station that are always crunky looking from fingers being jabbed at them. To be clear, it's a single unit deal -- cooktop plus oven. Oven part is broken; will spare you the details. Help me? I've never shopped for one before and I'd like some actual human recommendations & thoughts. Thanks! Before ruling out electric I would recommend looking at induction. This is different from standard electric or "thermoconductive glass". With induction, the heating response is instantaneous just as it is with gas, ie., when you turn it off the pot stops boiling, and doesn't keep going on residual heat the way standard electric does. So you get the benefit of a smooth, easy to clean surface (with nothing ever baking to the surface the way it does not that thermoconductive glass.) On the downside, induction requires the use of cookware containing iron, so you may have to replace some pots and pans. (Test them with a fridge magnet — if it sticks, the pot will work on induction.) On mine, the "real buttons" are pressure-sensitive spots on the glass top, so not "real" but nothing like gas-pump buttons. So we are talking about a free-standing stove, correct? I have this LG stove/oven and have been happy with it. They don't make this one any more, but I'm sure you can get a similar one (this one looks roughly comparable). You have to push in the gas burner dials pretty far before they turn, so that would help prevent the accidental knocking the gas on. 1. Ideally, most people like gas for the cooktop and electric for the oven. These sort of "dual fuel" ranges are out there and are pretty good, although tend to be a bit more expensive (and you'd have to have 220V power run behind your stove if it isn't there already). 2. I think the next stove I buy will have an induction cooktop. When our current stove was out of commission for a few weeks, I got a portable induction burner and was very taken with it: the responsiveness of gas with the speed/power of electric. The two downsides are that not all pans will work with an induction cooktop (although many will and there are little disks to convert pans that won't) and induction is currently quite a bit more expensive than gas or electric. Requisite link to Wirecutter's gas range guide. Even if you don't take their specific recommendation, the background information should be helpful. As mentioned above, I like electric ovens and gas cooktops, but my main advice is to steer away from models with complicated electronic controls. A few years ago I bought a relatively high-end Electrolux range with a fancy glass touchscreen for the oven. The Star-Trekky blue lights, the beeps and boops seemed so cool at first glance, but the reality is that the circuit board that makes it go can't take normal oven heat, so there's a noisy cooling fan that kicks in when the oven is turned on and that keeps running for a long time after the oven itself is switched off. Occasionally the oven gets cranky and won't work at all, or malfunctions as it reaches higher temperatures. The fancy touch screen kicks out senseless error codes that boil down to "call a technician and pay him more than this whole unit is worth to fix something that shouldn't ever break on a 6-year-old appliance." I'm bitter, and my feelings now are that a stove should not be a computer. Also, Electrolux is dead to me. If you do go electric, one thing to pay attention to is burner coil size. I know this sounds obvious, but I didn't pay close attention to it when I bought mine and, while I love the one I bought overall, I wish the selection of burner sizes was different. Mine is a smooth-top GE Gallery with four burners. Three of them are fine, but the front right is very big, suitable for a large stock pot. That would be great if I ever used a large stock pot, which I don't. So when I use it, it creates a lot of excess heat around whatever pot or pan I'm using, and makes the handles very hot. If I ever need to replace this oven, I'll measure the coils before buying. Bought a Samsung 3 years ago - continuous grates, 5 burners including 2 power burners, one simmer burner and a griddle burner in middle. We've been pretty pleased. Check Consumer's Reports for current recommendations - I think this is a good time of year to buy stoves so there's that. The guys who delivered our stove (from Lowe's or Home Depot - don't remember) commented that they thought it was a good stove and a good buy because Samsung had dropped prices on mid-range ranges to compete more on high end at that time. We bought this LG range recently at Costco, and we've been quite pleased with it so far (I'm still not convinced that the griddle is worth it/a smart move, but my partner has been wanting a griddle for a long time, so they got it--it also comes in a version with a regular fifth burner instead of the griddle). But the stove and oven works well. It does not have buttons, though, so that may disqualify it. And its "chimes" for when preheated or the timer going off are pretty annoying. But as a stove/oven it works great and a huge upgrade from what we had. (As I was writing this I looked up the model on the Costco website and see it's currently on sale--so am requesting a price match. Thank you for making me realize this! :). This is the kind of thing Consumer Reports is good at, and they have done ranges* fairly recently. The reason they are a good resource is that they buy an array of ranges and test them against each other, then give you the results. Mefites can only tell you about their experience with one (possibly) current range. * Apologies if that link doesn't work; I have a paid membership to CR, so have access to all their online content. Relating to Consumer Reports, many libraries include online access if you have a card with them. Is it possible to go from propane to electric? *Should* I? If you don't already have the big plug in the wall you would have to pay a bunch to put it in. 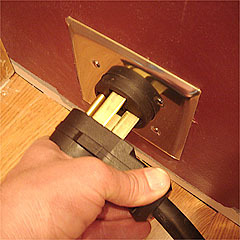 You need to work out what connections you have, do you have electric wired in for a stove as well as gas? Features I like as someone who cooks from scratch and bakes (but both only occasionally) an oven that self cleans, either induction or gas for the stovetop, definite preference for electric oven, and something that is easy to use. I normally buy appliances online filtering for the features I want at the cheapest price from a reliable brand. You need to work out what connections you have, do you have electric wired in for a stove as well as gas? I actually haven't the faintest. I will try to figure out the model # and Google it. Pulling it out is off-putting because it hasn't been moved in thirty years. It's one of those things where you don't know what you're going to see, but you know it's not going to be anything good. Thanks everyone. Will be working on it. I kinda liked the Wirecutter's choice but we'll see what we've got to work with. You can probably use a mirror to give you a view of the wall behind the stove without moving it. Those outlets are quite distinctive. Nthing recommendations for Consumer Reports and the simplest controls possible. Also, do you have people with different stoves you could ask to cook a meal on just to see what you like? There are ranges I changed my opinion about because a relative got one and I was surprised to like/hate/repeatedly crash the software on them. Against the grain of that, I have had a double-oven range for over a decade, a much less fancy version of this Whirlpool, and find it surprisingly useful. Good luck with Behind the Ancient Stove. I got a massive $20k oven for $2k secondhand because of someone else's remodel and built my kitchen around it. My previous standalone oven was the cheapest possible gas model. There is no way I would pay full price for a high end model but I wouldn't go back to a basic one either. The gas burners are way more intense and we do wok cooking. The central griddle turned out not to be a novelty but gets used weekly at least for grilling. And I love being able put two roast chickens side by side or two cookie trays or even four. I either cook a massive amount or a single pot, so the size is ideal because I don't have to do cooking in rounds. If you rarely cook large amounts, like only once a month, that's not worth the extra space. The biggest part for me is: how easy is it to clean? You will resent a high maintenance oven. Something you can scrub down in minutes is great. I would not get electronic controls either. Stick to as manual if possible so your oven lasts longer. Well jeez, my husband called the appliance dude and he swapped out the electronics and face panel for $250 so now it works. I have mixed feelings. I'd sort of gotten excited about a new stove! I do like the stove though. I also recognize that it's basically Frankenstein's stove. Agree wholeheartedly that software-heavy/control-heavy appliances are a waste of time and total headache however & when the thing finally dies, I'm not getting one that is in anyway attached to my phone or whatever. The simpler the better. I just want fire. Simple physical mechanisms. Got a pass at having to look at whatever is behind that thing so...good? I did like that Sweethome-recommended model and we probably would have gotten it if the issue had been forced. Thanks everyone for the moral support and for weighing in.